More than 600,000 Mexicans live in Florida, according to Zabalgoitia, who declined to estimate how many of them are undocumented. MIAMI: Mexico's consulate in Miami has inaugurated a new section to enhance protections for Mexicans in the US as they face new challenges posed by the policies of President Donald Trump, a media report said . The establishment of such a section in each of the 50 Mexican consulates in the US is part of President Enrique Peña Nieto's response to Trump's negative stance toward the Aztec nation, Consul-General Jose Antonio Zabalgoitia told Efe news on Friday. At the Miami consulate, the section will have a staff of four, three of them attorneys. The new sections are needed because the "current circumstances are different from those we had for many years," Zabalgoitia said. "It is necessary to concentrate consular work and prioritise consular protection." 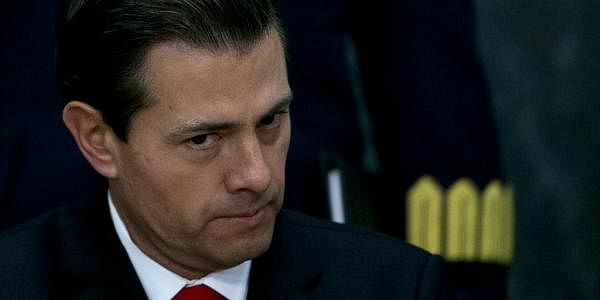 The diplomat said that while he was yet to see any "alarming" changes in the situation of Mexicans in South Florida, the consulate was trying to anticipate future needs and "organise the work to be more efficient." Since taking office on January 20, Trump has taken steps to fulfill his campaign promise to build a wall on the US-Mexico border to prevent the entry of "bad hombres". The new administration has also adopted a more aggressive approach to enforcement of immigration laws, which is a cause for concern among the country's estimated 11 million undocumented migrants. He did note, however, that more than 70,000 Mexicans in Florida entered the US as seasonal agricultural workers with H-2A visas, Efe news reported. Acknowledging an increase in the number of Mexicans deported from Florida, Zabalgoitia said he has seen no sign of raids or mass detentions targeting people from his country. So far, he said, the most visible reaction to the Trump era has been a surge in expats with US-born children coming to the consulate to register their offspring as Mexican citizens. "Warlier, I signed two birth registrations per week, while yesterday (Thursday) alone I signed 15," the consul-general said. Facing a greater threat of deportation or, in some cases, mulling the idea of returning to Mexico on their own initiative, expats are now anxious to ensure that their children also have Mexican citizenship, Zabalgoitia said.